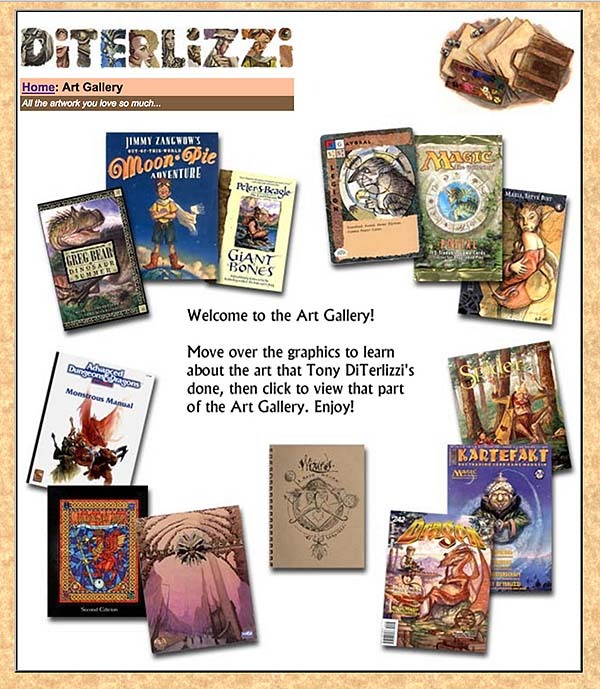 Welcome to the NEW DiTerlizzi Website! Its hard to believe its been over 20 years since this site launched. Over the last two decades it has been amazing to watch the growth of the internet and how it has shaped our world. My early online presence is due to Jim Gaynor, who was a computer specialist at Ohio State University back in 1995. Jim was also a fan of my illustrations for the role-playing game, Changeling, so he created a fan page dedicated to the game’s fairy-inspired art. We soon became fast friends. By 1996, Jim switched his focus to my newly purchased website, which he updated frequently over a dial-up connection. Jim volunteered his time or traded it for original artwork. As my career in gaming expanded and my dreams of creating children’s books started to become a reality, it was obvious I was going to need a dedicated web designer. 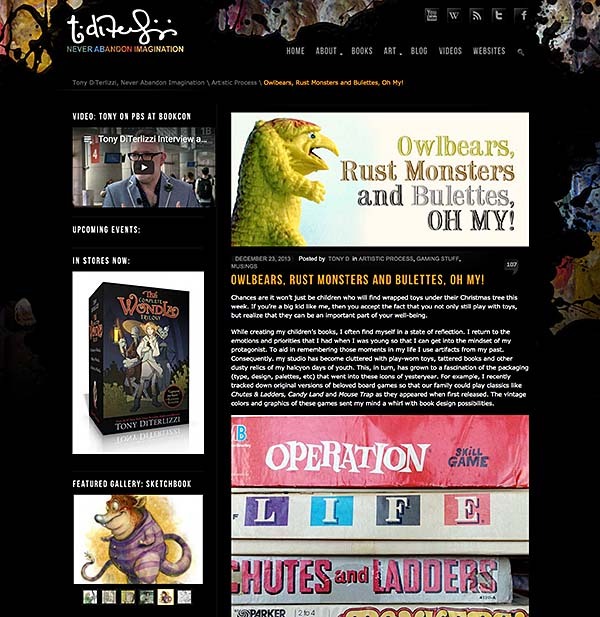 Frank Rust took over Jim’s responsibilities and streamlined the site by introducing the Adobe Flash plugin, which allowed for simple rollover animation–like an automatic slideshow of new releases on the home page. That was handy because, in a just a few years, my children’s books were soon being released at breakneck speed. Quite often I’d announce multiple projects at once. 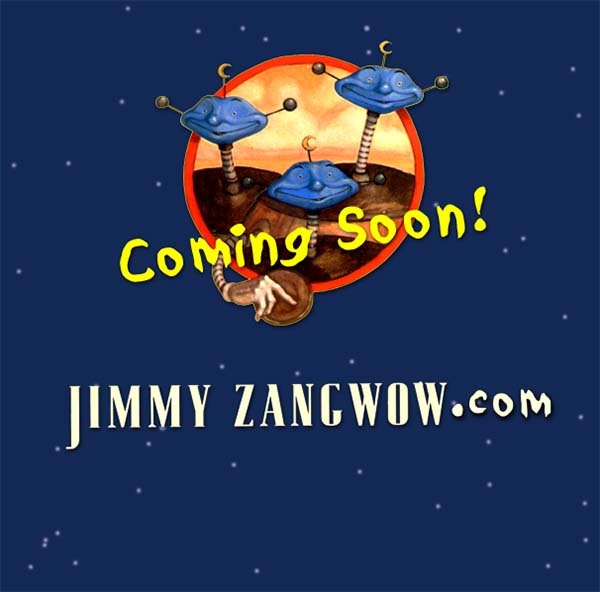 Frank also created a dedicated Jimmy Zangwow site and “Ted’s Playground”. Both highlighted my first two picture books and offered free downloadable activities, like coloring pages. Nowadays, it seems pretty commonplace for these sorts of features on a website, but in the early 2000s it was cutting edge. 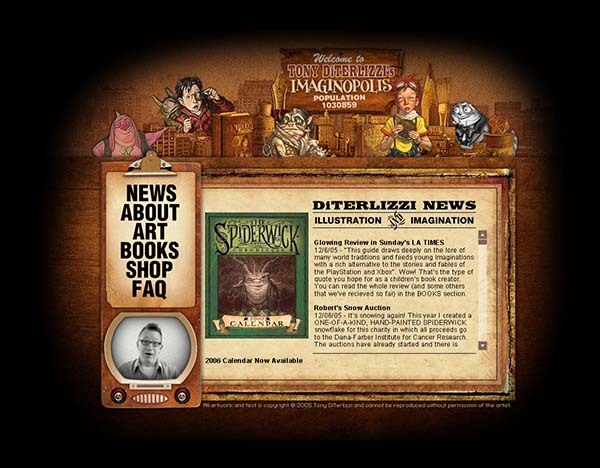 As the site neared its 10th birthday and The Spiderwick Chronicles grew in popularity, I commissioned a complete website redesign. I worked with the wildly inventive Anthony Salimbene, who gathered my various book characters into an online “Imaginopolis”. It also featured a slew of silly introductory videos, usually of me, acting like an idiot. I began blogging in 2007 and merged my blog into yet a another redesign of the site in 2011. For the first time since the site’s creation I was able to write articles about any and every thing without having to send material through my web designer. Hoping to inspire a new generation of storytellers I shared my artistic process along with books and toys that had influenced me. As the popularity of blogs waned in the surge of social media, I decided to rethink the site once again. I’d been working as a professional illustrator for nearly 25 years and longed to create a site that celebrated and acknowledged all of my fans, both past and present. Website wizard, Deena Warner, has done just that. She’s crafted this new website that allows you to view my artwork, larger than ever, on your desktop or mobile device. We’ve collected all the free fun stuff and downloadable activities that I have offered over the years and put them in one place so you can easily browse, grab and go. 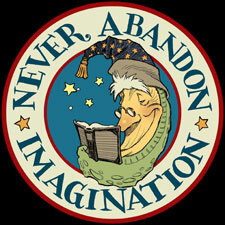 There are even links to purchase my books, game supplements, apparel and other licensed goodies. So revisit some old friends, check out my latest projects and–most of all–have fun! 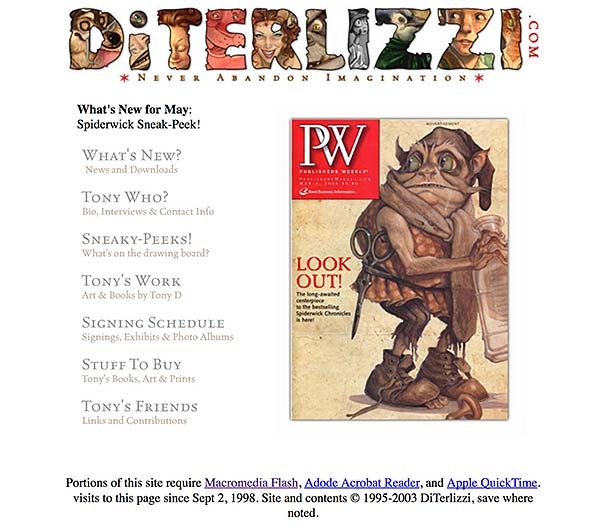 Thank you for visiting DiTerlizzi.com for over 20 years. Here’s to another 20!